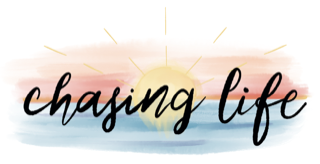 About Me | Chasing Life! My name is Beba Schlottmann. I was born in the island of Puerto Rico, and move to the United States with my family during my early teens. I am married to Brian Schlottmann, a man who supports my dreams and adventures and loves me deeply. Together, we produced two amazingly creative sons, Matthew and Julian. I enjoy spending time with my family; they keep me moving forward, and teach me valuable lessons about the things that really matter. My husband and I founded and launched, Abante International, a non-profit organization whose mission is to prepare university students to LEARN, LIVE & LEAD in a global community. Basically, students will study collegiate courses while engaging with communities in the United States, and around the world for nine months. The students or colleagues (as we like to call them) will graduate with global relationships, leadership training, college credits and a strong spiritual formation base. If you get a chance, check us out at http://www.abante.me. You will find that many of my stories come from my travels with our organization, and the many lessons learned along the way. Aside from my work with Abante International, I enjoy sketching, writing, cooking, traveling, and even teaching myself how to play the guitar! I’m always thinking of new and creative ways to get things done. I enjoy spending time with friends I’ve made all over the world, and listening to their stories. I enjoy going to the movies, shopping, and I also enjoy hikes or walks through nature trails. My guilty pleasure is watching Korean dramas (don’t judge! ), and I truly like people.